StormSmart StormCatchers. 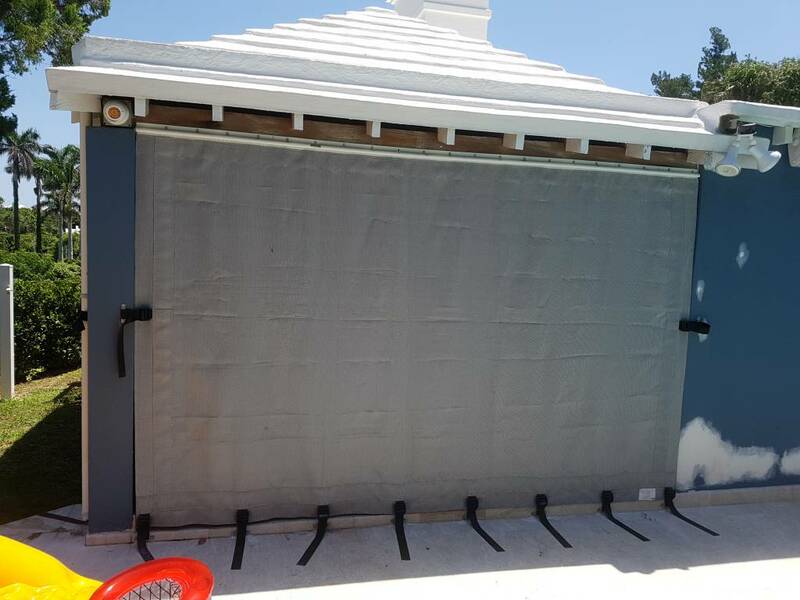 Also known as wind abatement screens, these fabric storm panels have proven very effective against the wrath of many a tropical storm and hurricane. StormCatchers are made of a strong, lightweight layer of woven fabric that is coated with geo-synthetic PVC material. Although it may seem hard to believe that fabric can provide sufficient protection against windblown rain and storm debris traveling at over 100 mph, StormCatchers are in fact touted as a very effective alternative to traditional options, like plywood or shutters. Not only can StormCatchers withstand the force of a hurricane, they can also meet or exceed building code standards set by ASTM International for Hurricane Protection. In addition to their superior strength and durability, these fabric storm panels from Gotcha Covered have many other advantages over traditional materials such as plywood and metal. For example, StormCatchers are lightweight and easy to handle, can be installed and removed quickly and easily by one person and they can be folded or rolled up for easy storage when not in use. 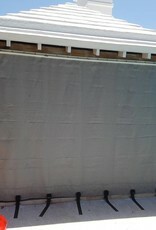 As well, this durable fabric also boasts a translucency that allows light to enter the home – a necessity at a time when there is undoubtedly no electricity – therefore avoiding the “cave-effect” that is often created by completely opaque standard coverings. StormCatchers are available at Gotcha Covered in a variety of systems, including grommet, rolling screen, slide screen and strap and buckle types, so that you can find the exact type to suit your needs.